The North West offers much higher rental yields and capital growth for the property investors that are priced out of the South East, shows new research. According to the latest UK Cities House Price Index from Hometrack, London’s house price growth has slowed to a three-year low, as Manchester, Salford and Liverpool all record the highest house price inflation of the UK’s major cities. Combined yields of 10% in Manchester, 12% in Salford and a huge 14% in Liverpool are attracting investors who have been priced out of the South East. The Hometrack figures show that Manchester recorded house price growth of 8.9% in 2016 against a national average of 7.2%. However, London recorded growth of just 7.3% – its lowest annual rate for more than three years. The other cities recording higher inflation than London were: Bristol (9.6%), Oxford (8.1%), Portsmouth (8.0%), Southampton (7.9%) and Birmingham (7.5%). The Mistoria Group – specialists in high yielding property investment – believes that investors can benefit from capital growth and excellent yields in the North West, which far outstrip the South East. The Managing Director of the firm, Mish Liyanage, explains: “Lots of investors from the South East and overseas have invested in Liverpool and Salford, buying high-quality properties around the universities. They have also renovated shabby properties with a top-end finish and are experiencing good occupancy rates from students, with year-round demand. 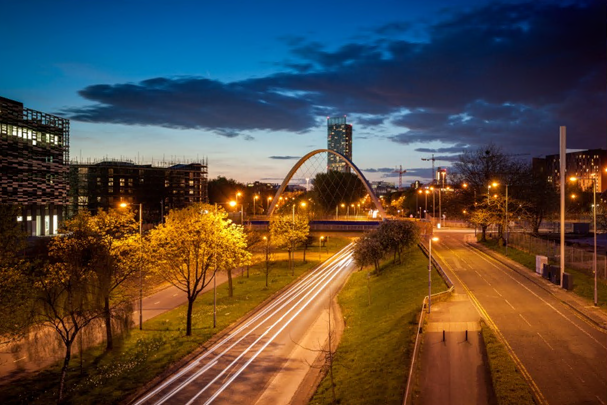 “Investors are benefitting from yields well in excess of 14% within a two-mile radius of the three universities in Liverpool, and 12% yields near the University of Salford. These yields are more than double what investors can secure in the south. He continues: “London is losing its charm for many investors, with its unaffordable property and low yields. Historically, investors have benefited from strong capital growth in the City, but even this is slowing. 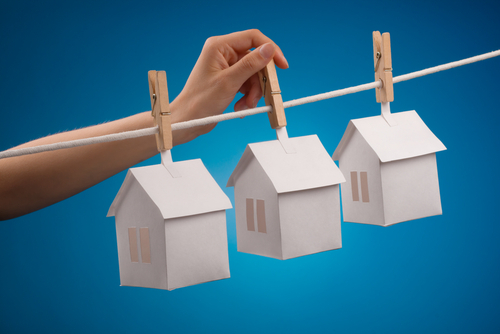 Have you decided to move away from the South East and invest in the North West? If so, remember that we offer award-winning Landlord Property Insurance for all areas across the UK. The Mistoria Group have evolved over the last 5 years into a major player in the NW investment scene, not only building a considerable Portfolio of 100+HMO and multi let properties but assisting many experienced and first time investors to own a hands off Investment that produce consistently high yields. But in an ever changing marketplace the nature of property investments changes and opportunity is often a key component in the acquision of a good investment, but without ‘inside knowledge’ many solid property investments never get offered to the general public. Firstly, bringing first class investment properties from all over the world to the UK marketplace, all investment will be vetted by our legal team prior to being offered so potential clients can invest in emerging markets with confidence. Secondly, a strategy is in place to align with prominent agents in Hong Kong, Singapore, Taiwan, Melbourne, Washington, Moscow and Milan to attract foreign investment to the UK for projects particularly in the area of social housing. ‘It is truly exciting times in the world of Mistoria at the moment’, commented the head of the division Jerry O’Brien, ‘Being able to offer the best investments in the international Marketplace with a price spectrum from £7,000-£1,000,000 will appeal to both experienced and first time investors’. One of our top spec houses, this property boasts high quality features and will suit sudents/professionals. Each of the 4 bedrooms are tastefully decorated and all have a double bed, wardrobe, chest of drawers, desk and chair. The furniture throughout the property is a very dark wood, creating a slick, modern feel. The gloss white kitchen is the standout feature of the property. Complete with integrated oven and hob, washing machine, fridge freezer, microwave, toaster and kettle, you will actually want to cook and spend time in your student kitchen! The communal area is comfortable and functional with leather-effect sofas, a dining table and chairs and large wall-mounted plasma TV. Located in a popular student area of Salford, this property is within a 20 minute walk of the university and student union and close to shops and good transport links. Rooms are £90 per week and includes utility bills. The residential/family price is £750 per month, excluding bills. This room would suit a single student. If you want a touch of class with high quality furniture and fittings then this is the house for you. Recently fully renovated there’s a modern kitchen inclusive of all white goods including washing machine, fridge freezer, microwave, toaster and cooker. The ***bedrooms all have double beds***, wardrobe, desk, chair and chest of drawers – all that’s missing is the personal belongings of 4 student friends! The comfortable living room with sofas and ***42″ wall mounted plasma screen TV*** is the perfect hangout in the evening after lectures or before a night out! Eades Street is situated within 5 minutes walk from the University of Salford and 15 minutes walk of the Students Union. Excellent transport links are also available from Eades Street to Manchester city centre. The property is situated off Frederick Road which hosts many shops and grocers. The weekly room rental price of £80 includes utility bills. This property would suit a group of students/professionals. A heavyweight in top class accommodation this 6 bedroom house on Sheil Road has just been fully refurbished to a very high standard! Boasting state of the art mod-cons including an ***iPod docking station*** ***wall mounted 42″ plasma screen TV*** and beautiful ***ensuite double bedrooms*** this house has a lot to shout about. All the 6 double rooms include a bed, desk and chair, chest of drawers and a wardrobe. The kitchen is fully furnished with fridge/freezer, oven and hob, microwave, kettle, toaster and washing machine. The stylish lounge houses comfortable leather sofas. The property is a the heart of a popular student area making it extremely desirable. Close to the universities, transport links and local amenities, this house really does have it all. Rooms start from £85-95 per week and include bills. This property would suit a group of students/professionals or a family. This attractive 4 bedroom property is guaranteed to be snapped up quickly. If you’re interested in a truly smart and modern house, we suggest you secure your viewing now! Boasting a small paved area to the front and an enclosed garden to the rear this property has been fully renovated to an excellent standard. Each of its bedrooms includes a bed, wardrobe, chest of drawers, desk and chair. The modern kitchen has a cooker, washing machine, fridge, freezer, microwave, toaster and kettle. Clyde Road is situated within 25 minutes walk from the University of Central Lancashire (UCLan) and 25 minutes walk from Preston city centre . Excellent transport links are available close to Clyde Road to both the university and Preston city centre. Rooms are priced from £69 per week and rent is inclusive of bills. The residential/family price is £500 a month, excluding bills. These rooms would suit single students or professionals. The property has been fully renovated to a 5* standard. Each bedroom includes a bed, wardrobe, chest of drawers, desk and chair. The modern fitted kitchen includes all white goods such as cooker, washing machine, fridge freezer, microwave and kettle. Alderson Road is situated within 25 minutes walk from the University of Liverpool and 25 minutes walk from the Students Union . Excellent transport links are available from Alderson Road to both University of Liverpool and Liverpool city centre. The property is situated off Smithdown Road which hosts many supermarkets, retail outlets, cafes and bars. The rooms are priced from £70 per week, per room and are inclusive of bills.